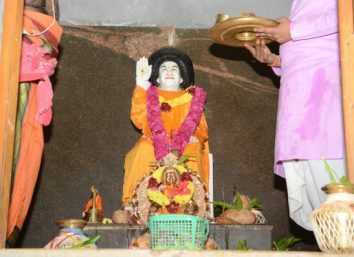 World’s first Sri Sathya Sai baba Temple at Swagatham Sai Mandir. 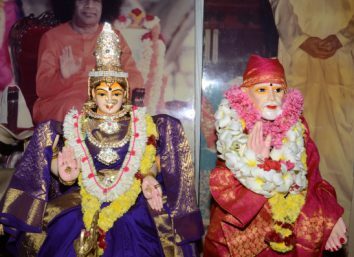 With the benign grace of our Beloved Bhagawan Sri Sathya Sai Baba Varu, Swagatham Sai Mandir has become the first temple in the world to have a separate shrine for Him. 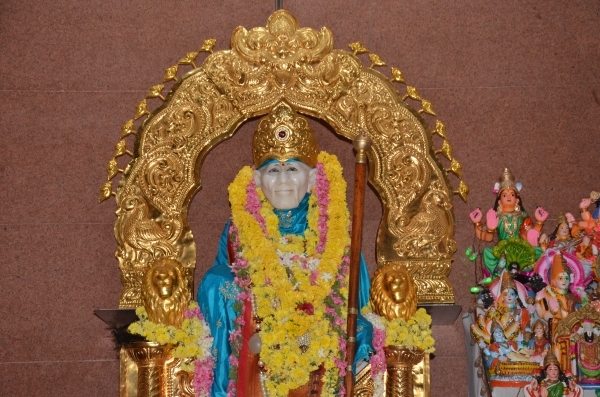 The Swagatham Sai Mandir is located near Somayanur, 2 kilometres from Kanuvai on Thadagam Road, in Kanuvai, Tamil Nadu, India.It has shrines for Lord Ganapathi, Bhagawan Shirdi Sai Baba and Goddess Mahalakshmi, besides Navagraha Sannidhi and a Dhuni, which has been sanctified by being lit by a lamp lit and brought all the way from the Dhuni at Shirdi. 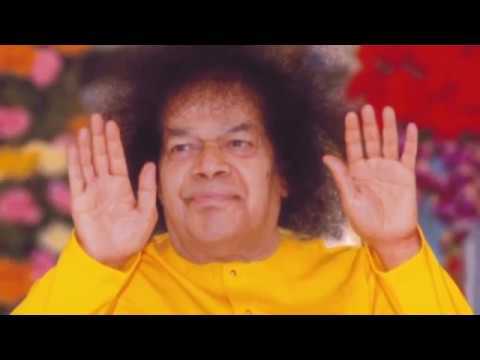 Now, it has a beautiful shrine for Bhagwan Sri Sathya Sai Baba Varu, which, we presume, is the first in the world. 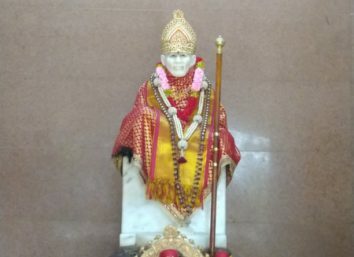 The Sathya Sai Mandir has come in the area between the Dhuni and the Ganesh shrine, facing west.The 3 feet-9 inch idol of Bhagawan Baba, which has been sculpted in white Makrana marble by Sri.Mukesh Joshi, Jaipur, is intricately carved to the last detail, including the beautiful mole on Swami’s left cheek. It has our Swami in a sitting posture, with Abhayahasta – his right hand raised, bestowing fearlessness. 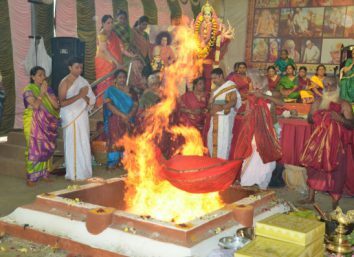 The Kumbabhishekam (divine consecration) of the Sathya Sai Mandir was done on Thursday, September 8th 2011, with the vedic rituals beginning on 7th September 2011. 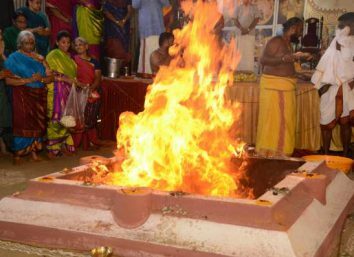 Saaktha Sri Manikandan Sharma, Sri Vidya Upasakar, Pudukkotai performed all the vedic rituals. 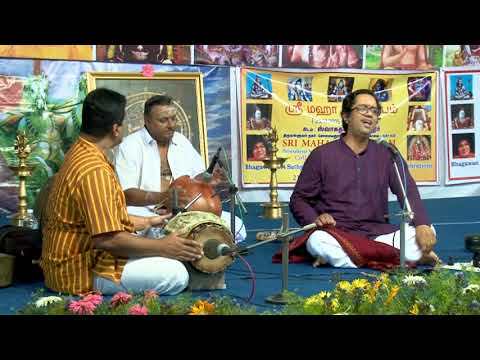 Sai Bhajans by the Sai Krupa Bhajan Group and Namasankeertan by Kovai Sri.Jayarama Bhagavathar & Party were a part of the kumbabhishekam festivities. 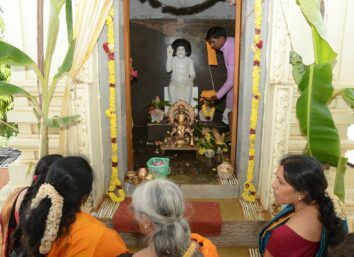 Devotees took part in the devout proceedings and received Bhawagan’s blessings. 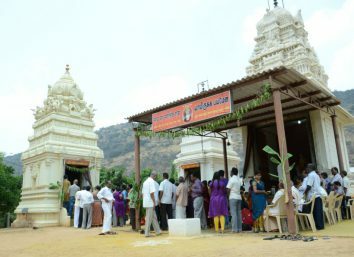 The event was covered by the press – local and national.